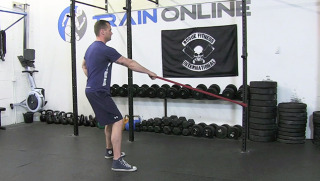 Start in a standing position with your feet shoulder width apart while holding a band in one hand. 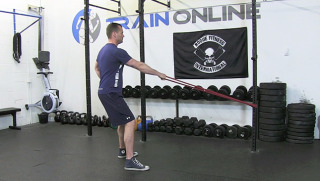 Keep a soft bend in your knees and your spine in a neutral position as you pull the band to your lower hip. 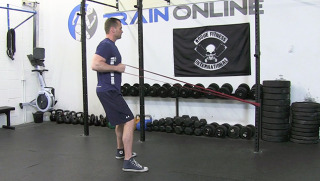 Return your arm to the starting position and fully extend your elbow before the next rep.